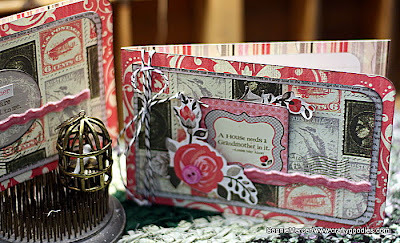 crafty goodies: Try It Tuesday~cards!!!! Hi everyone~just in time for Try It Tuesday!! I have ﻿been working with Authentique and Helmar and I made these two cards using my scraps! I love using every bit of paper up. The trim is by Maya Road ( several years back) and some bakers twine. I don't really call myself a card maker but I do enjoy making them especially when I do it right!!! 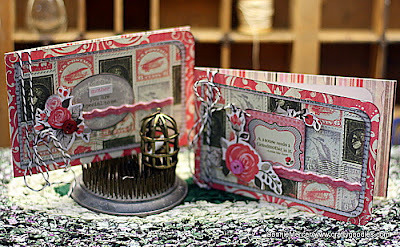 I have one more project coming up on the Helmar blog this coming Friday using Authentique~I hope you will stop by and check it out. Thanks for stopping in today and have a great Tuesday!!! See ya soon! Great job on the cards - LOVE Authentique!!! these are wonderful. i love the line - you rocked it. Oh I love them, I always have scraps but never think of ways to use them. These are fabulous! Those look like fun papers to work with! I would never have the patience for all the things you do. off to check out your other blog too.